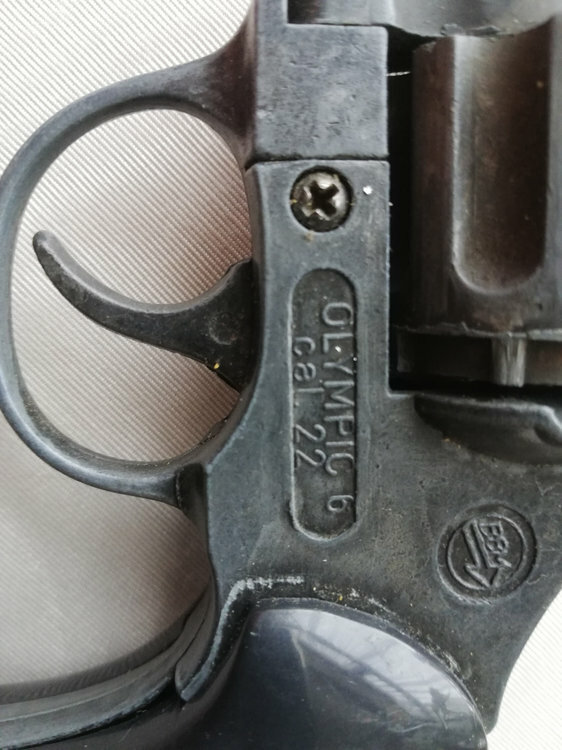 I have an Olympic 6 .22 blank firing revolver, the trigger broke (little post that drives the cylinder indexing arm fell off). So, I found a spare parts supplier on line who quickly and economically posted a replacement. It didn't fit, seems there has been a change in design. So, found alternative supplier, who had schematic of the parts online, matching mine. So ordered part from there, again wrong design. So, does anyone either know where to find parts for the older, black model? That is remarkably kind of you! Yes please. How can I send payment? I am new to using this forum, is there a private messaging way to exchange details? It's yours just to remind you it is faulty. I am new to using this forum, is there a private messaging way to exchange details? Yes = if you are using a pc hover your mouse over the recipients name and you will get a drop down with the message option. Received messages click on the envelope on the header bar. What dog are you training?